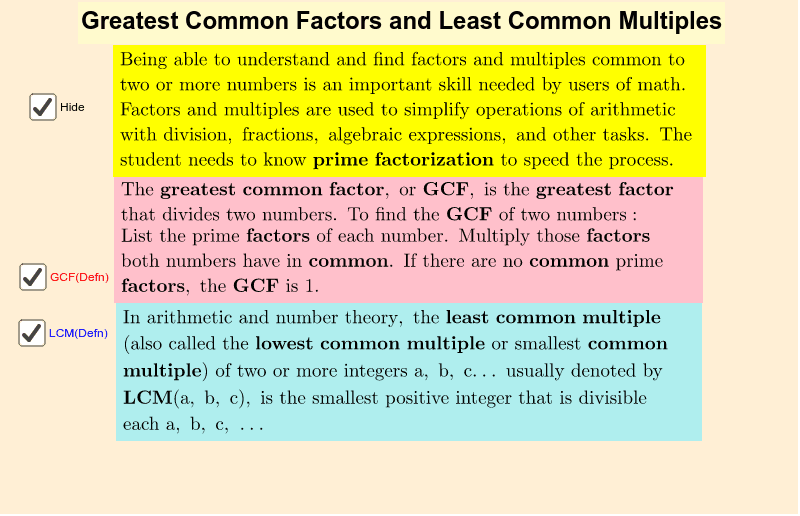 Finding the GCF and LCM of two or more numbers allows a user of mathematics to more quickly compute solutions. This sheet gives the prime factorization, so a student can begin to learn how to find common factors or common multiples. Factors and Multiples from Khan Academy provides additional information.